PRICE REDUCTION!! LIVE THE FLORIDA LIFESTYLE! This incredible 3 bedroom, 2 bathroom, 2 car garage lakefront villa is ready for its new owners! This beautiful home is located in the Paradise Gardens waterfront community in Punta Gorda Isles! 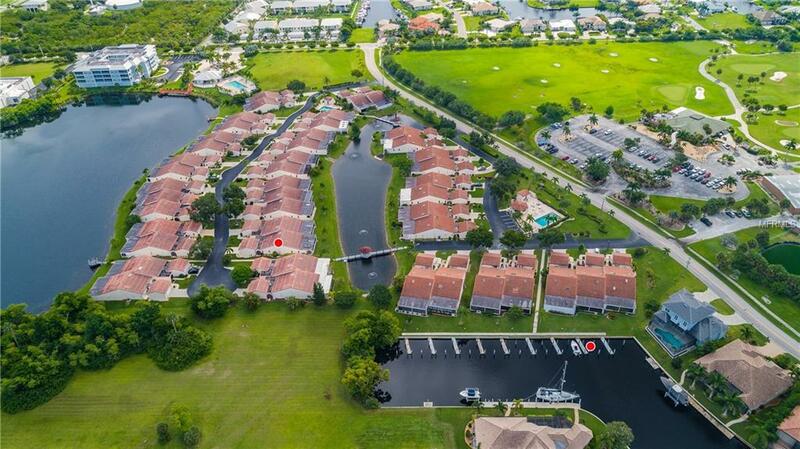 Villa also includes deeded dock #3 which leads you right out to Charlotte Harbor and beyond! No fixed bridges out! This is sailboat water! Enjoy the space and amenities of a single family home while enjoying the ease of living in a maintenance free community. You have the best of both worlds here! This villa has lovely ceramic tile throughout, a huge, open kitchen with island and breakfast bar and roomy living room/dining room combo. The master bedroom is in the rear of the home, providing a view of the gorgeous lake and both guest rooms are located in the front of the home, allowing your guests to have privacy while they are visiting! The 3rd bedroom comes with a Murphy bed to make this room a den/office/craft room, but giving you the option of using it as a bedroom if you have a few guests staying for a visit! The enclosed/air conditioned lanai is huge and perfect for entertaining! You have sliding glass doors and screens on each wall allowing you to open up the doors and enjoy the incredible breeze off the lake. Community is located across the street from the highly rated St. Andrews Golf Course and a short ride to all that makes Punta Gorda wonderful! Community also offers two heated swimming pools to enjoy. Priced to sell, call now for your private showing!! Pet Restrictions Maximum Pet Weight 40Lbs. One (1) Pet Per Unit. Tenants Are Not Allowed Pets.